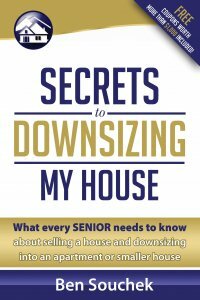 Home Downsizing Solutions by The Sierra Group provides a stress free, hassle free way to sale a house in situations where a family member has passed away and a house needs to be sold. Ben Souchek: Hi, I’m Ben Souchek with the Sierra Group Home Downsizing Solutions, just standing here in front of a house that we purchased today. It was a situation where a family member had passed away, and the personal representative contacted us to look into liquidating the house. We were able to come out, take a look at the house, and send them a proposal. 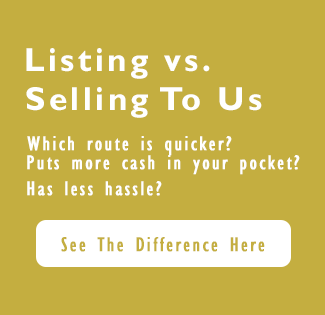 We were able to put something together that worked for both them as a seller and family, and us as a buyer. Within a few days, literally three or four days, of having a verbal agreement, we were able to close today. We purchased it as-is, with all the stuff in it, and were able to make the transaction and purchase it for cash. We were able to make the transaction very quickly for them, very stress free, hassle free, and convenient for them. If you have a situation where you have, or your family has, a house that you need to liquidate and want a very stress free, hassle free, way to do that, please give us a call at Home Downsizing Solutions. Toll free 855-291-5005, 855-291-5005, or go to homedownsizingsolutions.com. Thank you.